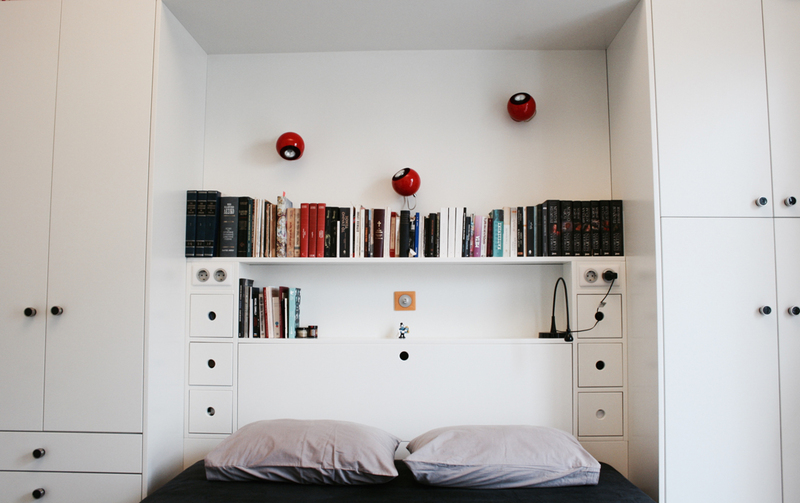 Bedroom storage furniture with bespoke 6-door/ 4-drawers wardrobe and bedside – furniture (Ware Bed). 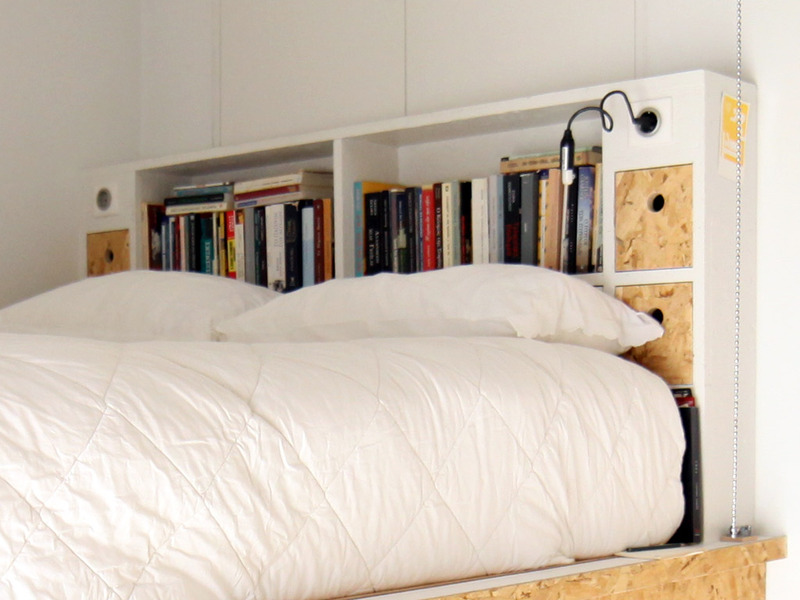 Furniture synthesis for bedroom. 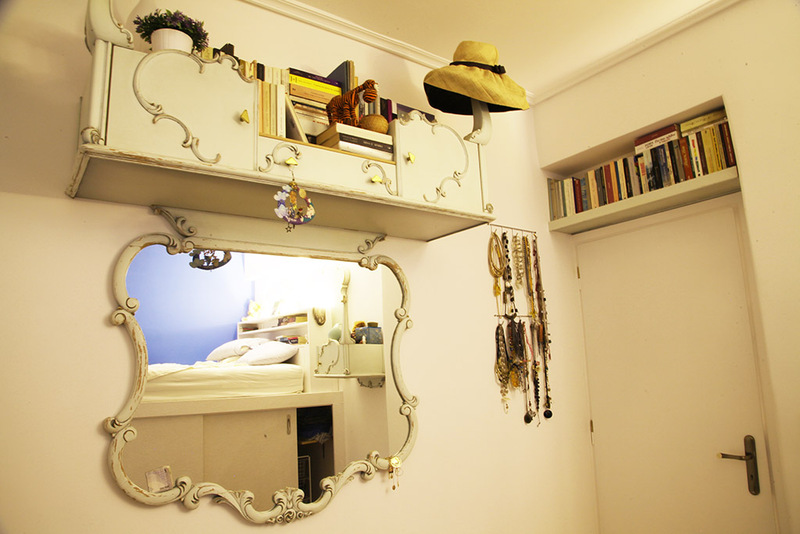 Headboard, nightstand, dressing table with mirror, storage space & shelving from the old bed frame. 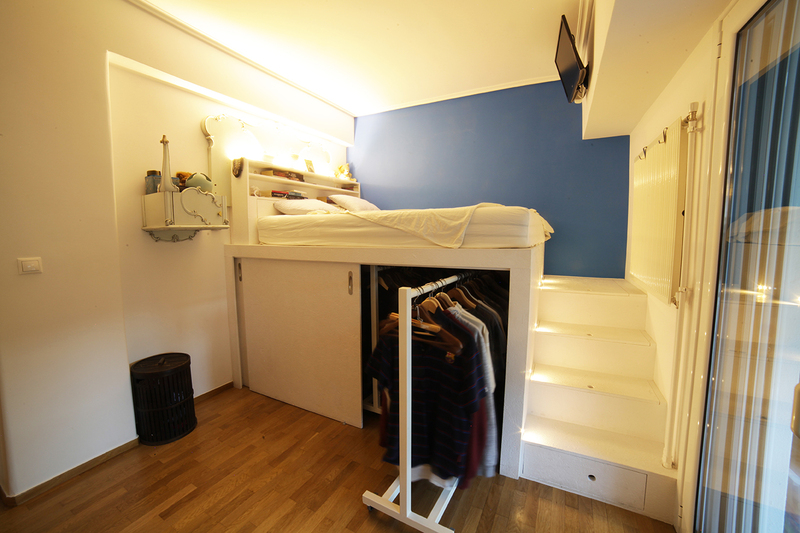 Bed loft with closet, storage space with drawers (StairCase), cupboard and bedside – furniture with lighting, shelves, cupboard and sockets (WareBed).